To unite all the government's of the countries through projects ,,The One World''. Unify religious culture and provide equivalent throughout the nation's. Create the most Intelectual and Dynamical Government in The Human History. Ensure peace and security around the world, to remove ,,any crime''. Expand human civilization through The Solar System of The Sun, expand human civilization and for other Star's and the Galaxies. Create the possibility of using human immortality for help cell regeneration. Create of Infinity life. Eliminate poverty around the world, eliminate starvation and lack of medicine for 20,000 children every day (200,000,000 children for the past 16 to 17 year's), a total of people at risk of death is 800 million people every day. Create the largest army on the planet, an army which is intended for the defense of The World Peace according Global Political Cooperation. Raise human intelligence to the next level. Create The Global Sapien's and develop of Special The Universal Intelligence. Create new system for Synchronization Human Mind and Supercomputer's, therefore with option for create Human Super Computerial Mind with known about anythink and intelectual activity calculkation in powerfull values than Quantum Intelligence. The possibility to predict the future foundation's and new human action. Able to avoid any disaster. Create World where exist only Good Option. Create a new and important civilization that can surpass the value of the time development of civilization a thousand year's back, to today, only a few week's. Create of Special Industrial zone's with standard oportunities for production of Infinity product's per only one single second. Establishment of new Solar System is by artificial planet's on their orbit around the Artificial Star. A new form of research of the research that overtake current possibilities of humanity. For seven days will give us information that we try to get a few thousand year's. Special Technology Civilization's in Izolation, as a special Supercomputer who can predict any technology in future of miliard's year's of Supercomputer Science development and Research of future. Overlight speed and use of Galactic & Universal Ship which bear a Great human civilization. The Universal Civilization Ship's. Able to continually draw to unlimited raw material's from renewable sources and new material's. In the Universe & Laboratory. Creation of new civilization on foreign planet's. Civilization's that are not based on human function's or existence. Research into technologies that may affect the physical and temporal space around us. Use will be catered for humanity to only the best step's without difficulty. Development and research of quantum technology and computer's, robotic intelligence. Machine to be used for creating your own civilization researcher's who will collaborate with humanity. Great chance to initiate communication with extraterrestrial civilization's that we today can not yet know. Government can use special technology who can calculed genetical combination or face characterism of foreign race anywhere in the Universe. Trying for research into technology that can create a path back in time and into the future. Establishing new civilization on other planet's. Planet's outside connection to the time zone of the planet Earth today. Civilization What are the main function's based on time travel from the past to the present, the future or back. Intertemporal common market's, the economy, politic's and civilization. Civilization which in one moment to the basic's of human activity from the past, from the present to the future as a One Time, city center. The possibility of making the human self replycation in multy time's. Life in virtual world's and realities. Reality which can be spread to more advanced quantum computer based on real world physic's. Create the Most Universal City in The Human History, in the past, today or future. Outstrip Maximal Economical posibilities of Government GDP in the World. 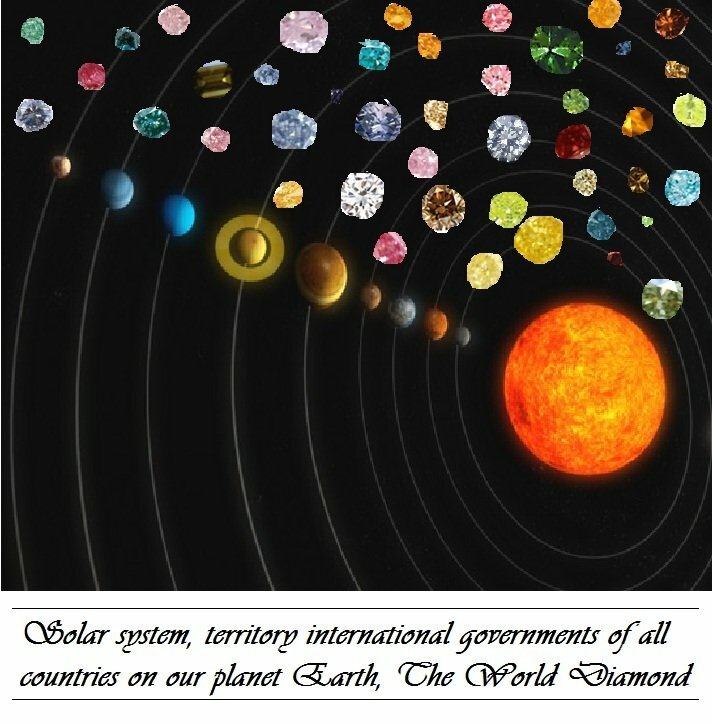 Step's for new Line, Every One second to 900.000.000.000.000.000 × Earth GDP, The Imperium of Diamond's. Calculed about reall physical activities of The God, and communiced with him, create cooperation and understanding about their prediction's and activities. Create The Universal City Civilization, The Civilization City sity interactive connection across Doctiliard's of Light Year's in Universal Line Distance. Create a special civilization in synchronization of Cyber Center of Citizen-Mind and information's from Supercomputer for prediction about Universal insident's of history, today and future, than synchronization of Cyber Citizen-Mind with technology for manipulation of incident's and our reality around us. Create Global safety with use of Technologies for time travel handling and cyber replycation of human mind, therefore reproduct in Clone, all of Historical criminal persdon's and dictator's, therefore punish all oh them and executed. Create Civilization with use of Technologies for time travel handling and cyber rerplycation of human mind, therefore reproduct all death people in to their new clone and give to him a Infinity life, in civilization's of foreign Star System's. The biggest Millennial world, the biggest step forward toward's humanity. Remove parasitic European policy and to punish her hard. Strong penalties for the largest global terrorism. Terrorism to destroy the biggest step's in the history of mankind. Create The First Reall Global Culture, The Global Day's of celebration and carneval's around the World, The Most important part of The Human History ! Remove of European terrorism policy. Millennial project. Project's that are based on real information and option's. 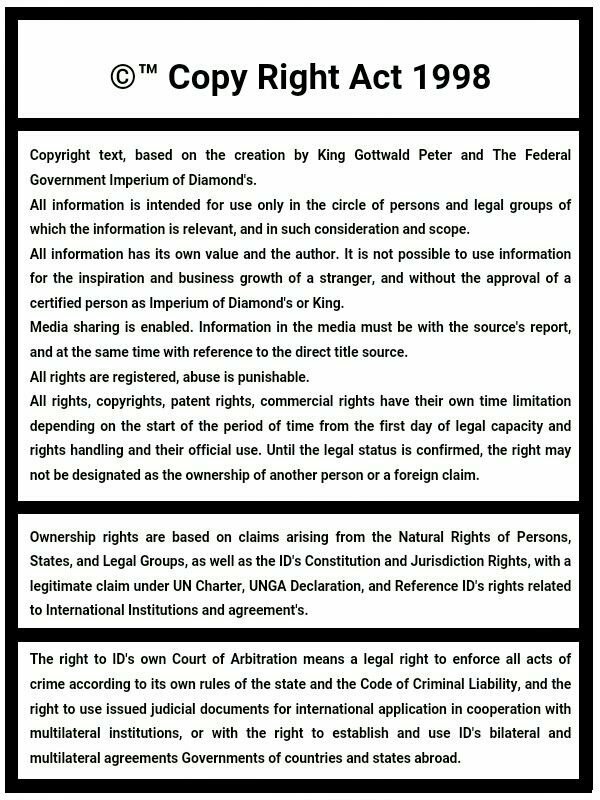 Project's Millennium government of the country of the federal Government of The Imperium of Diamond's.